If you’re reading this, you’re most likely looking for a free lifetime domain name. Let me say that again, a ‘free lifetime domain.’ But not just any domain, you want the good stuff — a free .com (read: .org, .co, etc.) domain. So, can you really get a free domain name in 2019? Or is it some scam? After all, it’s a domain for a lifetime, and it costs you no money! In this article, I talk about free domain names and share the only legitimate way to a lifetime subscription. And you know what? I’ve tested each of these methods myself — So you can rest assured they work! Can you really get a free lifetime domain name? Imagine this: You run a domain registrar company. You spent USD$3500 on the ICANN certification and then USD$4K on a year to maintain it. Then you hire staff for registrar maintainer and customer support, and there’s also rent and utilities to run the whole business. Would you offer FREE lifetime domain names? Certainly not! Domain subscriptions are the core business of a domain registrar. It’s how you make your money! So why in the hell would ANY domain registrar company offer shell out thousands to run a business to offer free services? A majority of websites that claim to offer free lifetime domains are scams and honeypots to collect your information. Some even save your credit cards and use it for fraudulent purposes. So much for the free stuff! There’s a common expression “If it sounds too good to be true, it probably is” which fits this scenario perfectly. Remember, no legitimate domain registrar would offer a free .com or even a .abcxyz domain for free! However, there are a few ways to get your hands on a free .com domain name. They are not ‘hack’s or tricky but instead offers that legitimate businesses provide. This is honestly the only way to get a free lifetime domain name. There are a few massive hosting providers that have grown so big that they can offer free domain names to customers that opt into their hosting. Why? Because they can afford it! To them, it doesn’t matter if they lose ten bucks over a free domain they gain over the subscription. They just write it off as customer acquisition cost. Fast Comet is a top-notch cloud hosting company that offers one of the best hosting services in the market. And yes, they do provide a free domain name for a lifetime! That sounds too good to be true, right? That’s what I thought until I directly asked them about it! So, all you have to do is just sign-up with them and pick a domain name of your choice (.com, .org or whatever), and it’s on them. Pro Tip: A 10-year subscription of a domain name will set you back at least USD$100! iPage is an economical hosting provider that offers its services at only USD$1.99 a month. Yes, they provide a free domain name registration but just for a single year. However, if you’re starting out and restricted to a small budget, it’s a good idea to go with iPage over FastComet. Bluehost is a popular hosting company that also offers free one-year domain registration along with their hosting subscription. The renewal would be at their standard rate. Sub-domains are a quick and hassle-free way to get your hands on a free domain name subscription. In fact, there are many web hosting providers that offer both free web hosting and free sub-domain names. Now, I absolutely hate sub-domains (for SEO reasons). However, if you’re looking to set-up a personal blog (that you don’t ever plan to grow), it’s not such a bad idea use one of their subdomains. WordPress.com is one of the most popular platforms to start a website (or a blog). They offer completely free domains and also website hosting. However, this option is quite limited with a ton of restrictions. I’m going to take a leap and assume you’re a beginner. After all, you’re looking to save a few bucks over a domain name. I’ve been in your place. However, now I travel the world and make money blogging. I realize the potential income you can make off a blog and don’t waste time hesitating to spend a few bucks on something that gives me the freedom to do what I what! 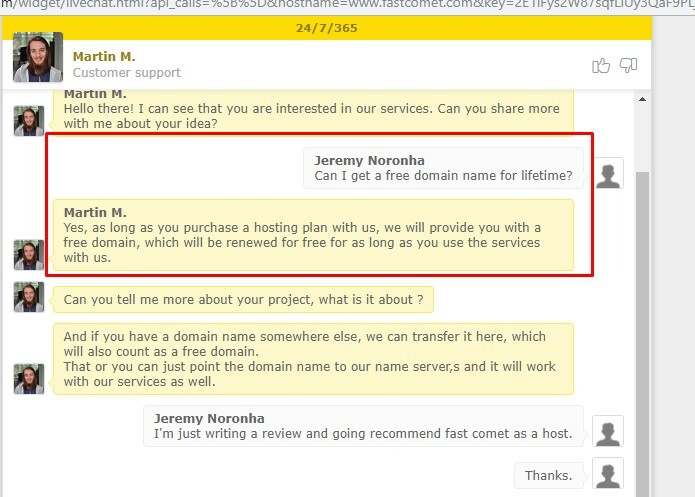 Namecheap is hands down the best hosting company in the market. I’ve personally used them for all my websites. Why? For starters, they’re cheap and offer the lowest renewal plans. Second, they provide a free WHOIS guard which is a cost saving of $USD9.99/year! Additionally, they offer live chat support that’s always nice to have. For these services, I don’t mind spending USD$9.99 a year (that’s nothing!). Why do I get a free .com domain name? Reputed hosting companies offer free domains as an added value to their services. Is a free domain any different from a normal domain? No — a free domain name is actually the same as any other domain name. Who really owns the domain? You have complete ownership over the domain name. Can I transfer an existing domain name and apply free lifetime membership? No — you need to register a free domain on sign-up. You cannot transfer an existing domain name to the lifetime free options. Do I have to pay renewal fees? This varies on offer. In most cases, the domain subscription gets automatically renewed (for free) upon renewal of the hosting services. That’s it! Remember, there is no legitimate domain registrar currently offering a free lifetime domain. The only free offers are from hosting companies that provide domains as an add-on. Thank you for reading! If you have any queries, do leave a comment below.